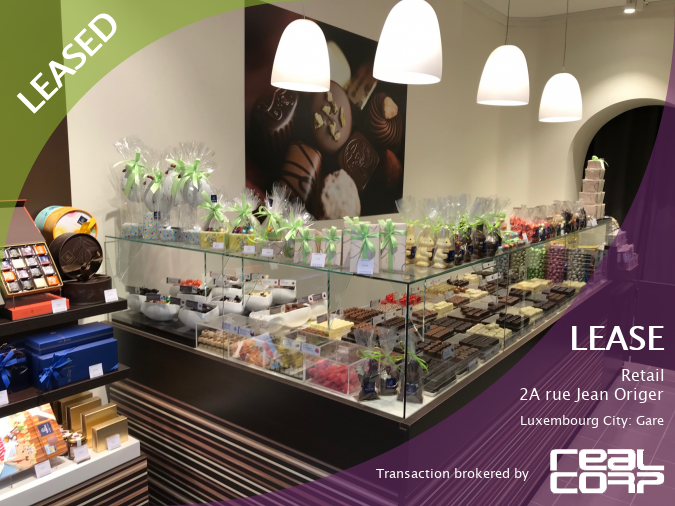 RealCorp Luxembourg recently had the delicious pleasure of finding suitable new premises for Leonidas (MyChoco SARL). 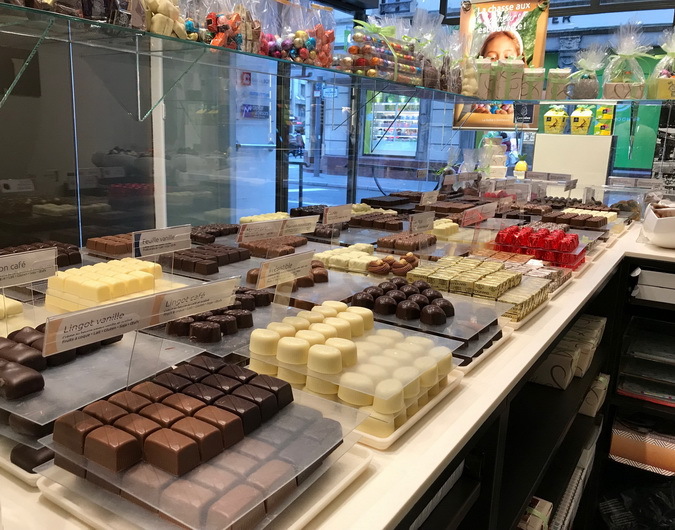 Already a well-known name in Luxembourg, this Belgian chocolatier wanted premises in a commuter area where people often look for gifts and treats on their way to and from work. 2A rue Jean Origer is ideal. 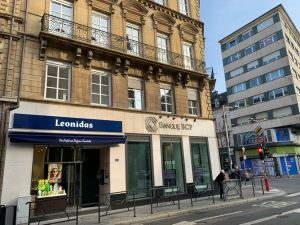 Next to the Banque BCP, it’s five minutes’ walk from Luxembourg Gare (Station) along the Avenue de la Gare. It’s only six minutes’ walk if one takes the Avenue de la Liberte instead. It’s also easily visible and accessible from either of these main routes between Luxembourg Gare and Luxembourg City. 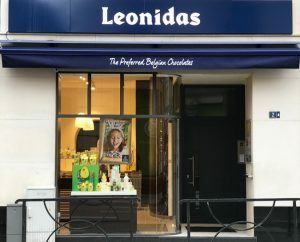 Leonidas was founded in 1913 by Greek-American confectioner Leonidas Kestekides in Brussels.There are now over 1300 shops in Europe, including many in Belgium, Germany, Holland, the UK, Greece, and Luxembourg, and even some in New York. Like his Spartan namesake, Leonidas struggled at first to make his name but ultimately rose, with the aid of his nephew Basilio, to be one of the chocolate kings of the 20th century. 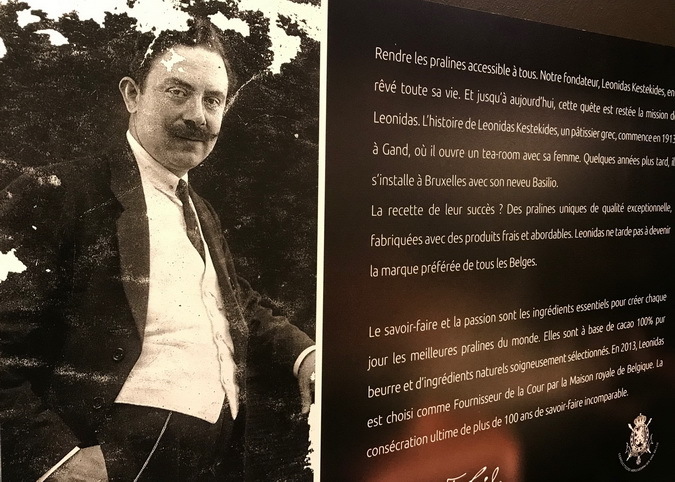 Leonidas Kestekides died in 1948 but the maintenance of the company passed down through his descendants over the years. Throughout, the company has kept to its traditional recipes, using superior ingredients with real 100% pure cocoa butter. 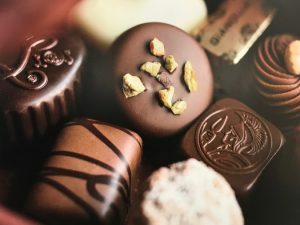 Leonidas has also retained the right to call its products “Belgian chocolates” because they are still produced in Belgium. In fact, in 2013, one hundred years after the original founding of the company, King Philippe of Belgium included Leonidas on the first list of certified purveyors to the royal household. Easter is coming… taste for yourself! So why don’t you make your next journey to or from the station a sweet one? And sort out your Easter shopping at the same time. Pop into the new Leonidas shop at 2A rue Jean Origer, and indulge! Can RealCorp do a sweet deal for you too? RealCorp Luxembourg handles the acquisition and disposal of industrial, retail and office buildings. We also deal in leisure, hospitality and residential projects, as well as commercial land. Many of our agents are Members of the Royal Institute of Chartered Surveyors and we apply the highest standards in our work. You can contact RealCorp for more information about 2A Jean Origer or any of our services on (+352) 26 27 29. Alternatively, if you’re in a hurry, or you already know what you’re looking for, you can use our new tool on this site: Go to My Property Requirements and choose either the quick or the detailed option to tell us what you need. Enjoy!